Jolly Puppy has dog puppy treats and snacks. 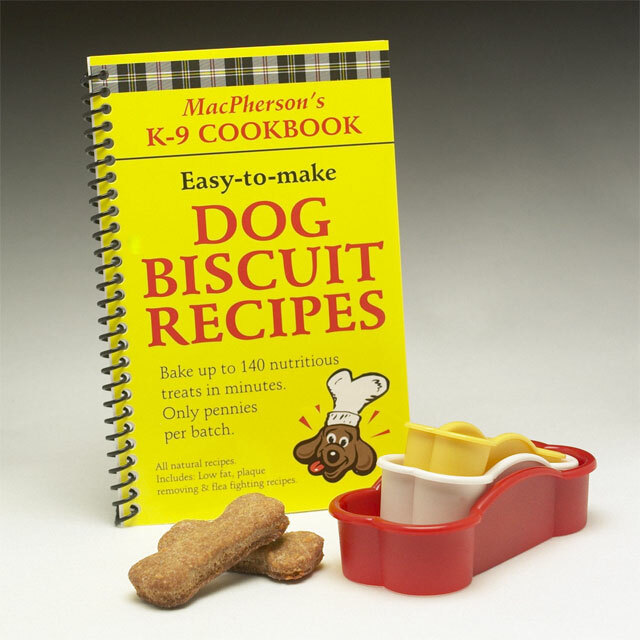 The kit contains a 48 page spiral bound cookbook containing 18 all natural recipes to bake dog biscuits in just minutes, and three sizes of dishwasher-safe cutters. The recipes include extra healthy Plaque Buster Biscuits, Flea Fighter Fingers, Fido's Low Fat Biscuits, and recipes for dogs that have difficulty chewing. 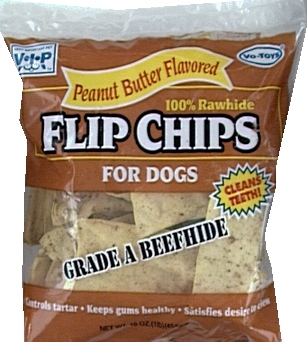 Make your own tasty treat for your dog or puppy! 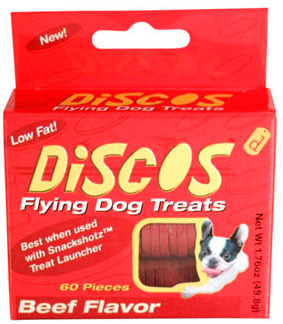 Dogs love the taste of Discos! 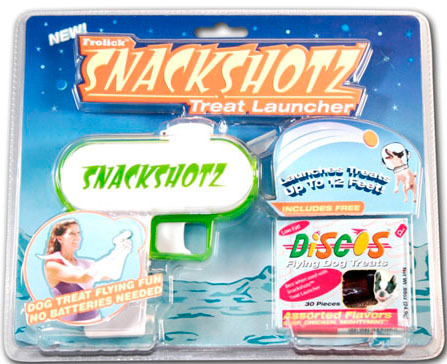 SnackShotz is the new disc launcher, created specifically to launch dog treats! 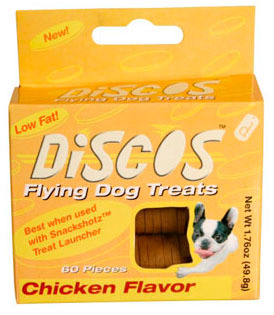 Includes 30 piece Assorted Flavor Discos Flying Dog Treats! Gimborn's Pro-Treat maintains the aroma, full-flavor, and nutritional value of raw beef liver. 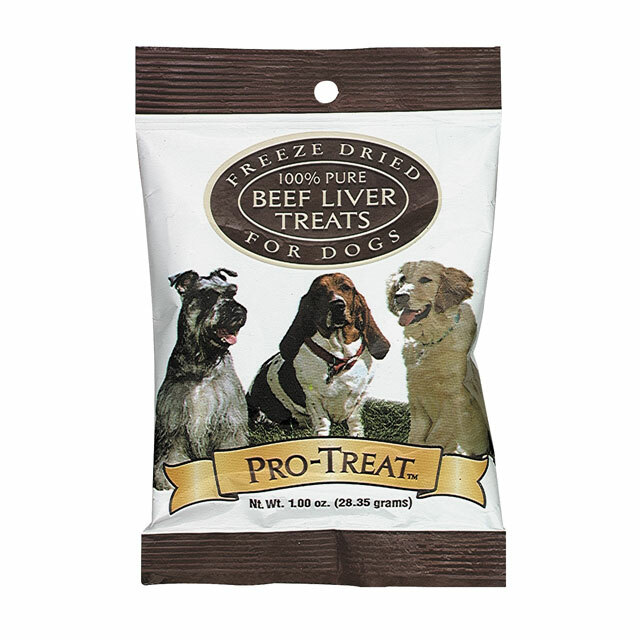 Conveniently cubed into Reward Size Treats, Pro-Treat is an excellent obedience and training tool for your dog or puppy. 3 in 1 - Cleans Teeth, Freshens Breath, Long Lasting Freshness. 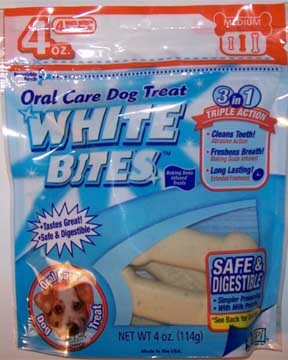 Help your dog or puppy have a bright smile! Shipping is $6.00 for orders up to $50. For orders $50-$100 shipping is $9.00 total. Orders of over $100 the shipping is Free. Be sure to check out our dog and puppy vitamins in the supplements section for a strong and healthy puppy! Copyright © 2006-2019 jollypuppy.com. All Rights Reserved. 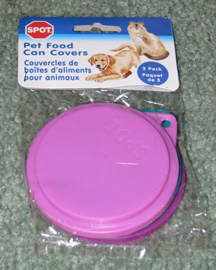 Can covers and lids for your pet food. Keep your dog food fresh with these lids. Keeps pet food fresh and tasty after the can has been opened.